Full weekend recap coming late Sunday or Monday. Several results received last night are not in the proper format to easily put in the rankings database and will take some work over the next few days to possibly format correctly. Team assignments and start times are now available for meet at McAlpine Park in Charlotte. 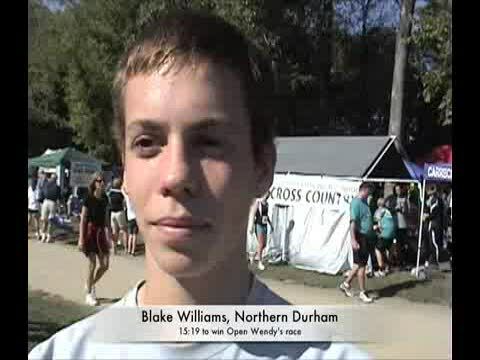 Blake Williams of Northern Durham won the open race in 15:19.